You are pregnant with your first child. You have plans to breastfeed exclusively and make your own baby food. You silently swear that YOUR child will be different and love her vegetables. Everything is going according to plan when suddenly, your baby turns one. She gets her first taste of birthday cake and instantly your epic plan of healthy toddler meals goes out the window when all the food you made ends up on the floor! I can totally relate. In fact, I have literally eaten food off the floor to avoid wasting it. Not one of my finer moments. Well we moms must ban together and outsmart these miniatures by making healthy meals more fun. Or at the very least, we have to be a bit more sneaky. 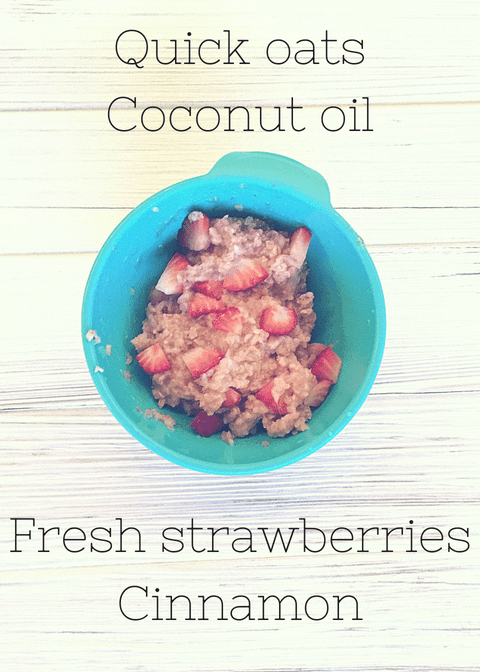 Making healthy food that is palatable for a toddler is hard work. It’s even harder when 95% of that hard work ends up on the floor. As frustrating as this can be, just know that your offerings of healthy food on a consistent basis will have a positive effect on your child’s long-term eating habits. Your baby’s brain is making new connections every day and his taste buds will change. He may not like blueberries this week but could unexpectedly develop a fondness for them a month later. You don’t want to miss an opportunity to help him acquire a preference for healthy food. Like anything in life, slow and steady wins the race. Keep offering highly nutritious food to your little ones and eventually, they will come around! 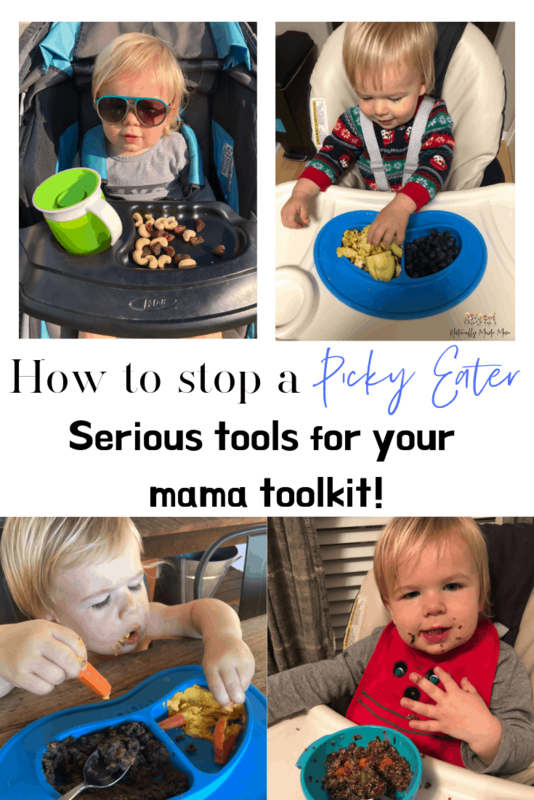 Just because it is difficult to get your toddler to eat healthy meals doesn’t mean they should be filled up with sugary foods in order to get them to eat something. Over time, sugary foods can actually prevent taste buds from maturing which will make it even more difficult to get them to eat healthy meals in the future. Instead of using processed sugar in your home baking, you can swap it out for local honey. For every 1 cup of sugar your recipe calls for, replace it with 3/4 a cup of honey. Raw local honey has antioxidants that boost the immune system and can help reduce your child’s sensitivity to seasonal allergies. Just make sure your children are over the age of 1 year old before offering them honey to reduce the risk of infant botulism. The best place to shop for local honey is at your city’s farmer’s markets or a neighbor that raises their own honey bees. Have you ever tried to get your toddler to do something and they adamantly refuse? You then distract them with a new object or idea, wait a little while, and then re-ask them to do the very thing they originally refused to do. Somehow because you made your voice more silly or made a funny face, the same request becomes such a great idea! Distraction and reintroduction is one of my most used tools in my mommy toolbox. 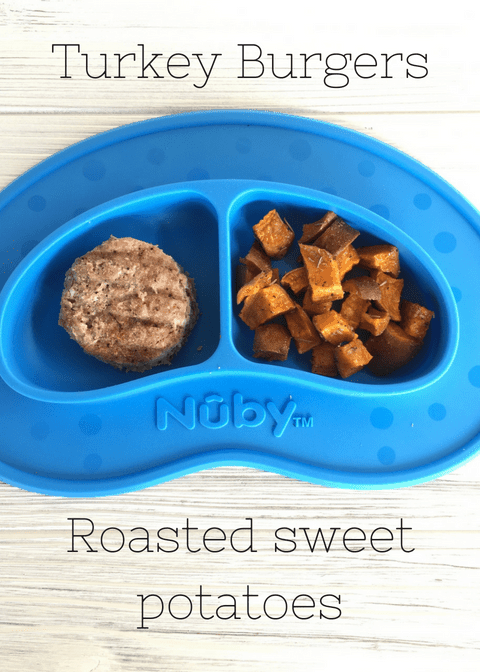 When it comes to feeding my son healthy meals, I use whatever tactic I can to get him to eat even a small portion of it. This usually means I am creating a new masterpiece that could go on exhibit at the Met. 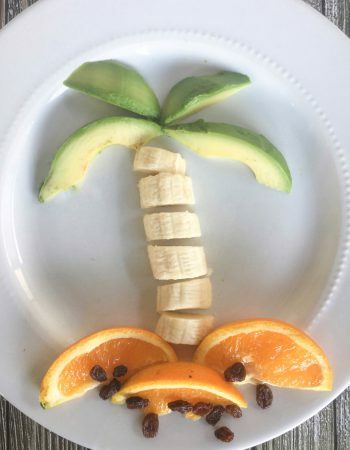 Even if making artwork of food only works for the first few bites, it’s better than no bites at all! Another fun way to sneak in veggies is to make mashed cauliflower. It looks just like mashed potatoes and can be presented as such. All you have to do is boil cauliflower until soft, strain it, throw it in a blender with some garlic powder, butter, and salt, and puree it on high. They will never know its actually healthy! 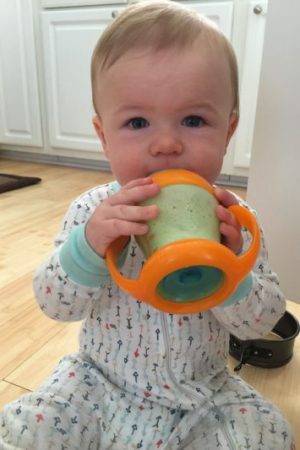 One of my favorite ways to get my son to eat more leafy greens is to add them to smoothies. 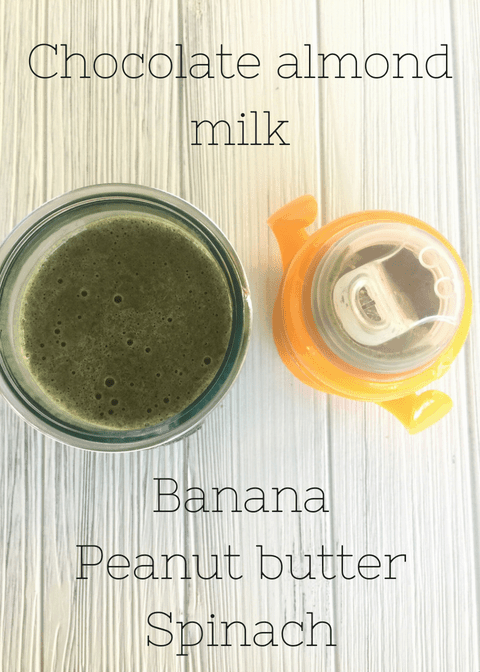 Spinach is almost tasteless when you combine it with banana and peanut butter. You can even tell your little boy that this is the Hulk’s drink if he is into action characters. Over the course of many morning smoothies, you can incorporate SO many healthy staples that would have been otherwise impossible to get a picky toddler to eat. Some of the crazy ingredients we have tried are ginger, turmeric, flaxseed, avocado, hemp protein, spirulina, aloe vera, and kefir. Kelp is a seaweed that grows so long it becomes an underwater forest. It is also a superfood that is rich in iodine and naturally anti-inflammatory. You can buy dried kelp at your local grocery store or on Amazon. I add kelp to our morning eggs. It does not have a fishy taste and looks just like pepper. No one seems to even notice my sneaky little trick! When you are a mom, you are feeding people. It comes with the job description, which is in the fine print in case you missed it! 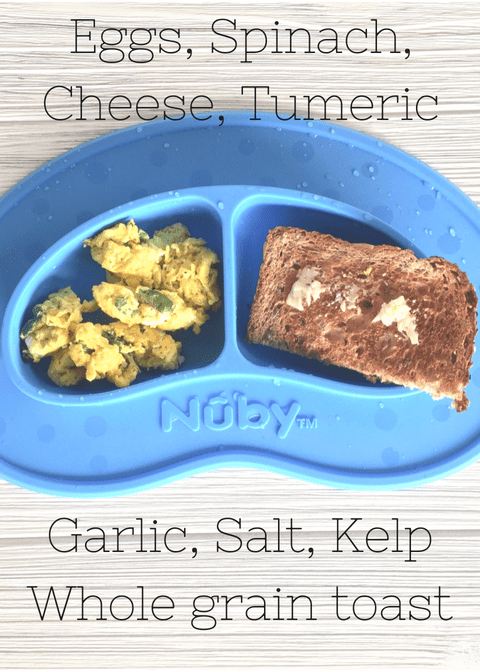 It’s hard to come up with fresh ideas about healthy toddler meals for picky eaters 3 times a day, 7 days a week! Here are some of my favorite meals to feed my son. Most of these will make for great leftovers so you aren’t cooking to many meals in a row. One of my greatest fears has always been how societal norms will affect my children’s diet. The reality is, when your kids see everyone else around them eating candy and cookies, they may feel left out. I cringe at the very thought of it. While we can’t shelter our kids from every outside influence when it comes to diet, there are things we can do to mitigate their exposure to unhealthy food. Pack wholesome but similar food. If you know you will be attending a pool party or event where there will not be healthy options provided, it’s a great idea to be prepared by bringing your own food. You don’t have to be obnoxious or unappreciative to the host by doing this. Simply keep a small cooler in your purse and when it comes time to eat, serve your children yourself. With as many children that have food allergies and special diet needs these days, you may find that bringing your own food is a non-issue. If you don’t like the idea of bringing outside food to an event, fill your kids’ tanks with healthy snacks before you go. Even if they participate in eating a cookie or two, they will most likely not eat as much junk food as they would if they had arrived hungry. Be clear with diet expectations and stand firm. Kids thrive when the rules are clear and consistent. It is really helpful to have a discussion with your spouse or partner about food expectations before your kids get old enough to start interacting with other children and families. You both need to agree on the values you want to instill if you are going to be successful. It pulls on my heartstrings when my son wants to eat the foods that the other kids are eating and I have to tell him no. Being a parent takes gumption and inner strength. But stick to your guns mamas! Your efforts to swim against the stream are setting your family up for a prosperous life. Remind yourself daily on why you are doing this. According to the CDC, 1 in 5 school-aged children is suffering from obesity. While this statistic is alarming to me, the risk of obesity isn’t the only reason that starting a positive nutritional education as early as toddlerhood is important. The healing power of an organic, clean diet is amazing. You can actually reduce your risk of catching common family sickness through immune-boosting foods. This means more time outside in the sunshine playing and less time sick in bed. Cultivating a child who loves to eat a wide variety of nutritious foods begins on day 1 with breastfeeding. From there you get the opportunity to watch your toddler’s eye’s light up as they taste an avocado or banana for the first time. 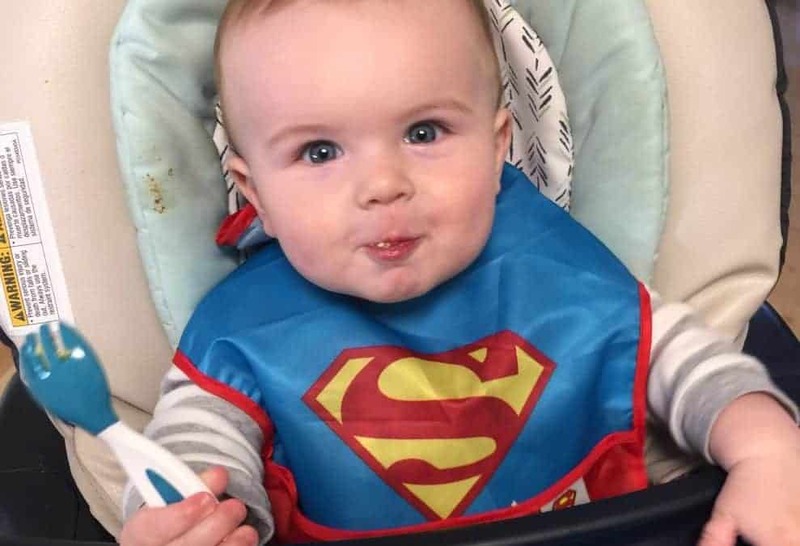 Introduce first foods to your baby when they are developmentally ready. 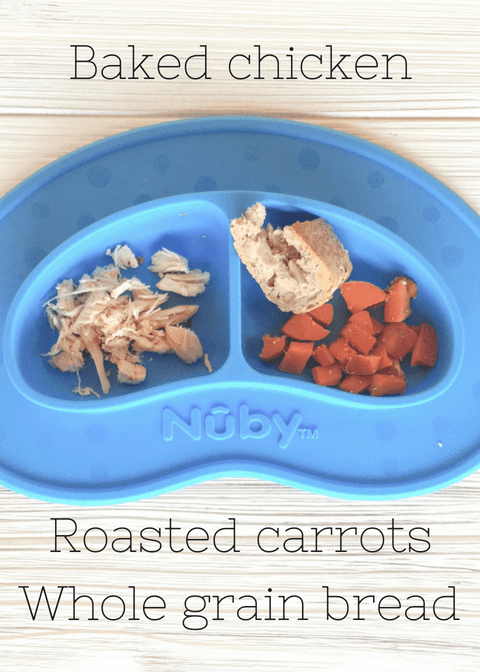 The baby led weaning approach cultivates healthy long-term eating habits. Our child’s taste buds start as a blank canvas. They don’t know what fast food or ice cream tastes like yet. We are privileged to influence our child’s future by making them healthy meals when they are toddlers. Food is one of the most basic things we provide for our kids yet it has the power to direct their lives toward sickness or towards health. 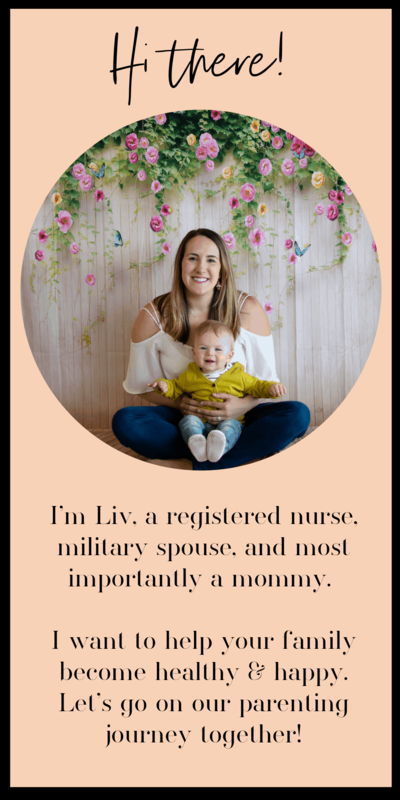 So every time you step into the kitchen to make another partially-eaten meal, remember that you are investing in health for your special little people. 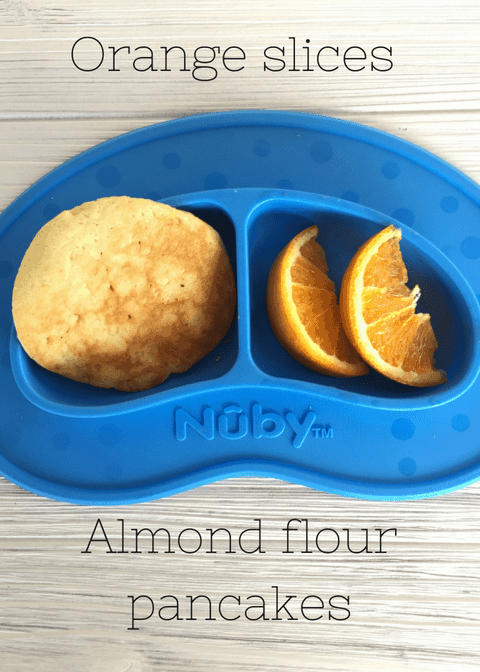 What kinds of healthy toddler meals have you been inspired to make lately?